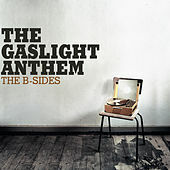 Had Green Day grown up worshipping Born to Run instead of London Calling, they probably would've wound up sounding a lot like The Gaslight Anthem. Filtering punk moxie (think Social Distortion, The Replacements, Uncle Tupelo) through Springsteen-approved bar rock makes total sense, considering the band grew up not more than an hour from The Boss' stomping grounds in iconic Asbury Park. After cutting their teeth in various punk groups in and around New Brunswick, Brian Fallon, Alex Rosamilia, Alex Levine and Benny Horowitz came together in 2005. 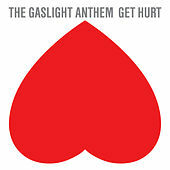 The Gaslight Anthem's high-energy, leave-it-all-on-the-table live show made a splash instantly, as did Fallon's salt-of-the-earth croon and working-man poetics. In addition to incessant touring, the band has hit the studio as often as their schedule has allowed, which is quite a lot. Between 2007 and 2010 they released three full-lengths, one EP and six singles. Though the U.K. has been quicker to turn the group into bona fide pop stars, Mr. Bruce Springsteen himself joined them onstage in 2009 for a rendition of their tune "The '59 Sound." Not bad for a bunch of punks from Jersey.